I loved Sam and Ellie’s story! Rawlings handily captured my attention and swept me away to Twin Rivers, Texas, as trail dust rose from the pages. The details and descriptions were vivid, and the storyline delighted me with elements of drama, intrigue, and romance. 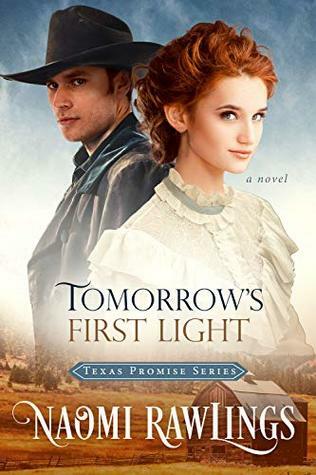 A distinctive marriage of convenience tale, Tomorrow’s First Light is one for my keeper shelf! Sam can’t make himself turn away children in need. But as a beginning rancher, he doesn’t have the resources to care for so many people. When sinister forces threaten the things Sam and Ellie both hold dear, can they figure out how to keep their fledgling family together, or will they lose the very things they cherish most?